Shopping for a new Cadillac ATS? 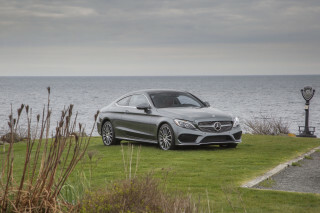 With its lighter weight, the 2.0-liter turbo-4 is a little more balanced than the V-6. The 2018 Cadillac ATS compact luxury sedan served notice to the rest of the world: Detroit could easily be annexed into Bavaria. For 2018, the ATS line is essentially unchanged aside from some updates to their available infotainment system and a single new color. The ATS lineup was introduced for the 2014 model year and is beginning to gray around its temples but remains highly competitive against cars like the BMW 3-Series, the Mercedes-Benz C-Class, and the Lexus IS. Stylistically, the ATS is straightforward and buttoned down compared to some of its more bulbous rivals. Its interior echoes that simple, elegant theme, although the ATS' compact dimensions mean that its rear seat and cargo area are a bit cramped. Under its hood, the ATS comes standard with a 2.0-liter turbo-4 that cranks out 272 horsepower and 295 pound-feet of torque in base and Luxury trim levels, where it's offered with a choice of 6-speed manual and 8-speed automatic transmissions that are at the top of their game. 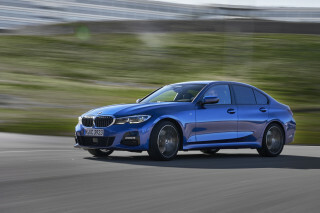 Premium Luxury and Premium Performance models are fitted instead with a 3.6-liter V-6; it's a little stronger and a little smoother with its 335 hp and 285 lb-ft, but the 6-cylinder is offered only with the 8-speed automatic. Depending on the model, rear- and all-wheel drive are available. Our favorite? 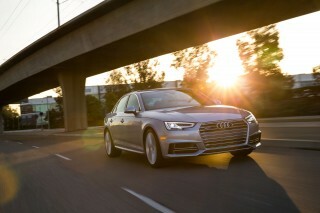 As performance purists, the turbo-4 with its 6-speed stick and standard rear-wheel drive offers tremendous fun. There's also an ultra-fast (and predictably pricey) ATS-V performance model that competes on the global stage against vaunted nameplates like the Mercedes-AMG C63 and BMW M3/M4; it's covered separately. The ATS comes well-outfitted, although base models can feel a little frugal with their synthetic leather upholstery. Tick a few boxes, however, and Cadillac's attention to detail shines through with glossy wood or carbon fiber trim and luxurious heated and air conditioned leather upholstery. All models come with an 8.0-inch touchscreen with Apple CarPlay and Android Auto, plus streaming Bluetooth and a rearview camera. A heads-up display and adjustable dampers are among the high-soot options available. Higher-spec models are also available with forward collision warning and automatic emergency braking, both of which boost an already solid safety record. Unassuming, but also uninteresting, the Cadillac ATS doesn't stand out as much as we'd like it to. Neat and clean, the 2018 Cadillac ATS doesn't draw in eyes like other Cadillacs. That's a shame because we know parent company General Motors can turn out some real lookers. There's simply something a little dull about the ATS, which might be as much a byproduct of its familiarity at this point. Its sheet metal is flat and light on character, at least compared to the bold look seen across the rest of the Cadillac line. If anything, the ATS Coupe is even more populist, which seems like a missed opportunity for a less practical and more "lifestyle" product. Regardless of body, the corners are smoothed and softened almost to the point of anonymity in the ATS. Its hood line is low, almost too low, while its tail leaves little impression. 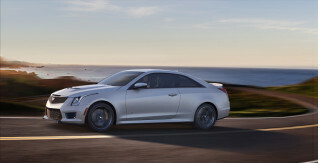 The ATS coupe has a longer look from the side, even though its numbers aren't notably different than the four-door's. The dashboard in the ATS inside sits low, to the benefit of visibility, and it gently wraps around the driver for a vaguely cockpit feel. What few buttons the ATS boasts are easy enough to sort through, although its CUE infotainment system absorbs many features. CUE stands apart from rivals for its haptic-feedback setup that delivers a buzz to the finger that takes some getting used to, but eventually becomes second nature. One nice touch is a wireless charging mat that's standard—if you can find it. Hint: it's conveniently hidden behind the CUE screen that rises away at the touch of a button. Nifty. 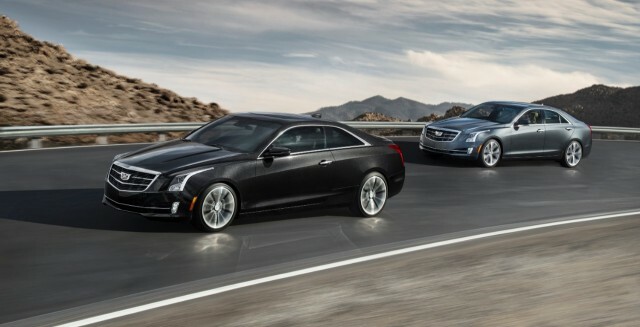 The Cadillac ATS is the new standard-bearer for fun-to-drive across the entire lineup. Where some of its rivals have moved more toward the cosseting end of the spectrum, the 2018 Cadillac ATS has emerged as the sporty, fun-to-drive choice. Two engines are on offer: a turbocharged 2.0-liter inline-4 and a naturally aspirated 3.6-liter V-6. 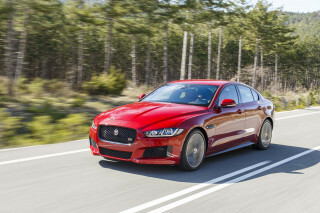 Both are available with an 8-speed automatic and a choice of rear- or all-wheel drive, but only the 4-cylinder can be had with a 6-speed manual. Clearly, that makes the 2.0 the enthusiast's option. It sprints to 60 mph in a hair less than six seconds and offers far more everyday usability than the engines found in the Mercedes-Benz C300 and the BMW 328i. The pick of the litter for those who relish driving is the excellent 6-speed manual, but the 8-speed fires off rapid shifts and boasts handy paddles. Opt for the ATS Premium trims and you'll net a 3.6-liter V-6 that was updated a couple of years ago. It's rated at 335 hp and 285 lb-ft and its cylinder shutdown tech lets it run as a 4-cylinder under light load situations to be more miserly. Case in point: Its mpg figures aren't far off of the turbo-4. The V-6 is a little smoother and ultimately delivers more linear, effortless power across the rev range, but it's a real toss-up as to which is our favorite engine. Drive them both and decide if the V-6's price premium makes it a better choice for you. Regardless of engine, the ATS corners with authority. Its chassis is grippy even on the base model's more gentle rubber. 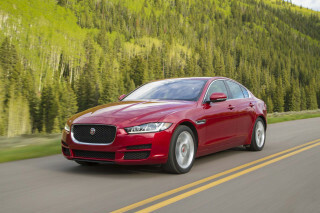 Other models turn up the wick with sticky tires and even more composure on a curvy road. Premium models with the FE3 suspension setup include magnetically charged fluid-filled dampers at each corner that react quickly to flatten out road imperfections and reduce body roll even more. It's the same basic tech you'll find under the Chevrolet Corvette, and that's just fine with us. But even the base ATS is confident and balanced, making all models a hoot to drive. Aiding the situation is the ZF-supplied electric power steering setup that delivers just the right amount of resistance and terrific feel. The ATS Coupe has a slightly wider track that gives it a slight edge in terms of handling while still providing a comfortable ride quality, but you'll need to drive the two back-to-back to really notice a difference. All models have Brembo-supplied brakes that quickly bring things to a halt. The 2018 ATS interior has an upscale feel and its infotainment system is nice, but rear-seat accommodations are compromised. The 2018 Cadillac ATS is loaded with technology and convenience even at the entry level, but all models are tight inside. Base versions are fitted with synthetic leather upholstery that does a so-so impersonation of genuine hides, but the glossy real wood and carbon fiber trims that are optional pair well with the available leather seating surfaces. It's not quite on par with the admittedly newer design of the Mercedes-Benz C-Class, but the ATS trounces many of its other rivals. Its front seats are firm in the German tradition; if your last Cadillac ride was in a Sedan de Ville, you'll be quite confused. A high level of adjustment makes it easy to find a comfortable position and outward visibility is generally good thanks to the low dashboard. The rear seat is different, with just 33 inches of leg room on offer, which makes it tough for a carload of 6-footers to be comfortable. It's the same story in terms of cargo storage; at 10.3 cubic feet, the ATS won't be your choice for a cross-country move (although there's decent space for smaller items like mobile phones and beverages in the cabin). 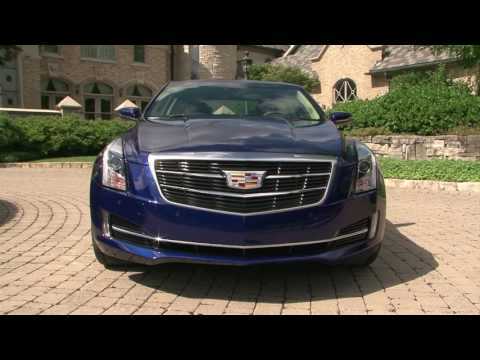 So far things look good for the Cadillac ATS, but it hasn't been tested by the IIHS yet. Safety is a priority for the 2018 Cadillac ATS, which has done well in what crash tests have been performed. 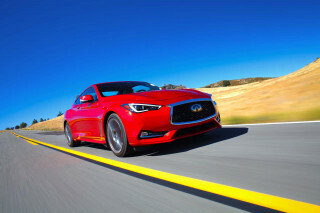 But the feds rate it five stars across the board, which is as good as it gets from the folks in D.C. All models come standard with a full complement of supplemental restraint airbags and the mandated stability control systems, of course. The Premium trim level includes as standard forward collision warning with automatic emergency braking, as well as blind spot monitors, rear cross-traffic alerts, and an innovative "safety alert seat" that gently rumbles under the driver's thighs to alert the driver. Those features are bundled in the Driver Awareness Package that is optional on the ATS Luxury but unavailable on the more price-sensitive base model. This tech has all been rated "Superior" by the IIHS, but again that agency hasn't yet subjected the ATS to its full barrage of instrumented crash tests. Four models with a wide range of packages mean that there's an ATS for just about everyone. The 2018 Cadillac ATS is offered in four basic flavors, which can be broken down into two categories. All models are well-equipped from the get-go, and the optional equipment allows for a fairly high degree of customizability. Let's start with the ATS turbo: it's available in base and Luxury grades. Even the base version isn't lacking much at first glance. An 8.0-inch touchscreen with haptic feedback and Bose speakers are impressive equipment at this price. But the difference is in the details since you're sitting on non-heated, synthetic leather seats and there's no sunroof or paddle shifters at this level. The ATS Luxury adds navigation, HID headlights, heated seats with memory, and remote start. It's fitted with leather upholstery and its front seats offer more power adjustment. The Luxury model is also available with far more options, including some important safety tech such as automatic emergency braking and blind-spot monitors. But don't think of the ATS Luxury as a boulevardier. 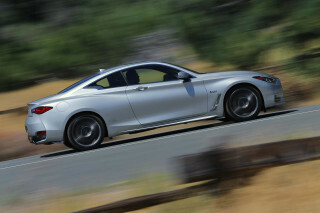 Its misleading name covers up its sport-tuned suspension, 18-inch alloy wheels, and magnesium paddle shifters. V-6 models are both badged ATS Premium, although one's the ATS Premium Luxury and the other is the ATS Premium Performance. They both build on the turbo-4 Luxury with more standard safety features and they're available with adaptive cruise control. What sets the Premium Performance apart is its Magnetic Ride Control suspension, a mechanical limited-slip rear axle, and track-oriented cooling system. All but the ATS Premium Performance are available with all-wheel drive; that model is rear-drive only. The ATS isn't the thriftiest in its segment, but it's not really a guzzler either. With the 2.0-liter turbo-4 and an automatic, the ATS scores 22 mpg city, 31 highway, 25 combined. 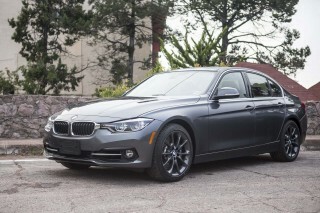 And all-wheel drive and that figure predictably slides, but only by 1 mpg on the highway. The manual transmission version of the ATS is a bit thirstier on paper: 20/29/23 mpg. Cadillac's V-6 sips a bit more fuel than the turbo-4 as well: 20/30/24 mpg with rear-wheel drive and 19/27/22 mpg with all-wheel drive. Most ATS models run on premium fuel—V-6 models take regular—and unlike several rivals, there's no hybrid powertrain on offer. Looking for a different year of the Cadillac ATS?